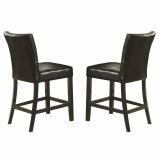 The Anisa Collection by Coaster Furniture is a casual styled dining room group. 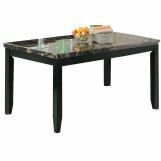 The table features a high gloss cream colored faux marble top while a beautiful cappuccino finish flows over the wood of the table and chair legs. 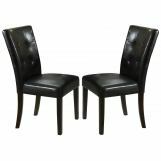 Matching chairs feature cushioned seats and backs wrapped in a black faux leather.